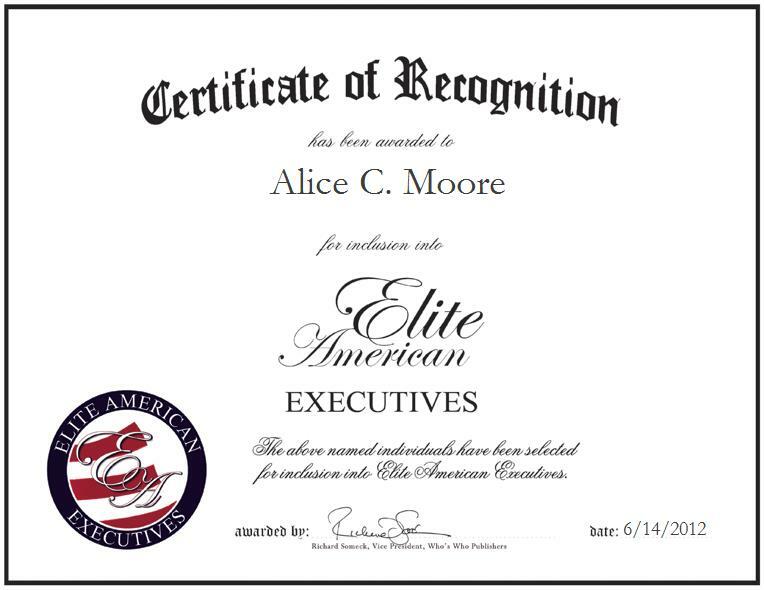 CHICAGO, IL, June 14, 2012, Alice C. Moore, Accountant at the Department of Child Support Services, has been recognized by Elite American Executives for dedication, achievements, and leadership in accounting. Ms. Moore has nurtured an ever-growing skill set over the course of a career that has spanned more than a decade, and she continues to strive for excellence in her every endeavor. At her current post, the award-winning professional is responsible for tracking and resolving delinquent child support payments. She also enjoys working with computers and exploring new and innovative accounting software. Ms. Moore earned a Bachelor’s Degree in Business Administration from Chicago State University, and she remains abreast of trends and developments as a member of the American Association of University Women and the National Association of Female Executives. Ms. Moore received a United States Navy Commemorative award, as well as a Cold War Victory Commemorative award in 2000. Other accolades include honors for the upholding of an “Outstanding Child Support Program,” as granted by National Child Support Enforcement Associations in 2010. Attributing her success to sheer perseverance, Ms. Moore hopes to be remembered for what she has learned about people, and having tolerance for people with all the differences we all have.